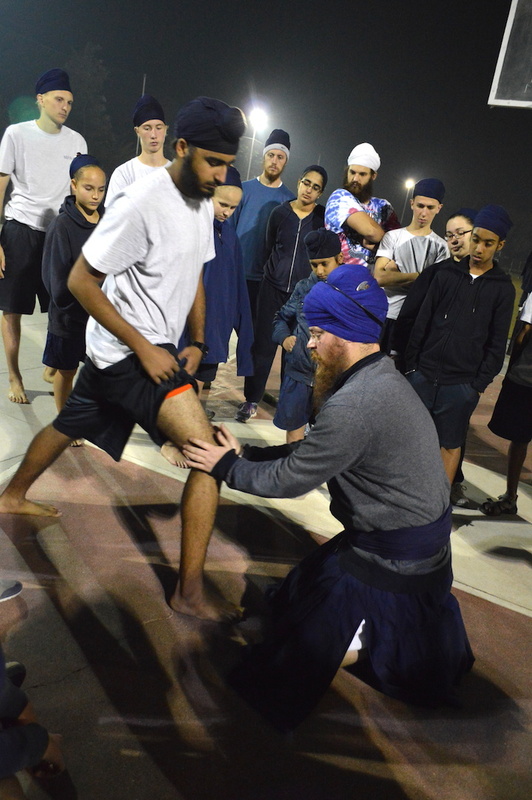 Sada Sat Simran Singh Khalsa, an alumni and great friend to MPA serves in many ways even though he is not a staff member. 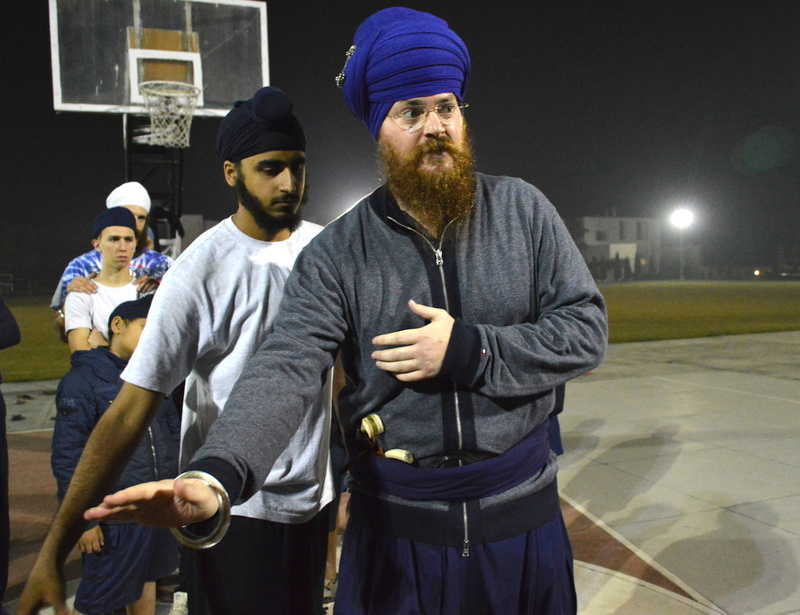 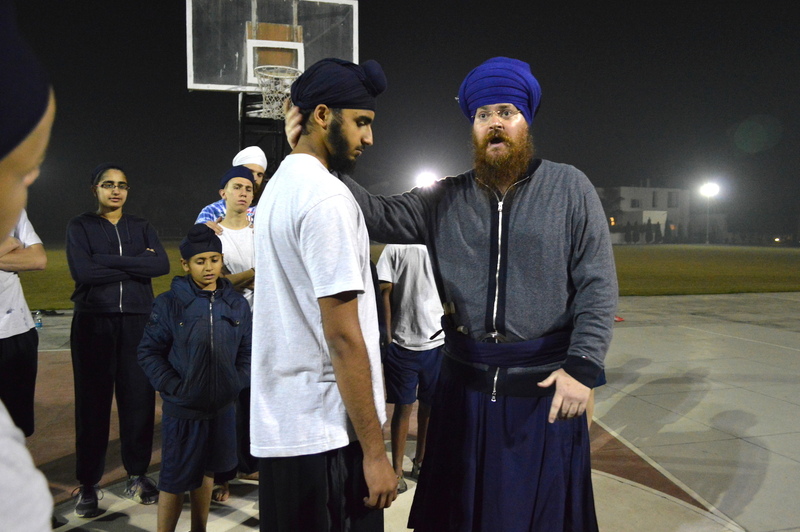 He helps to teach Gatka, music and spiritual studies. 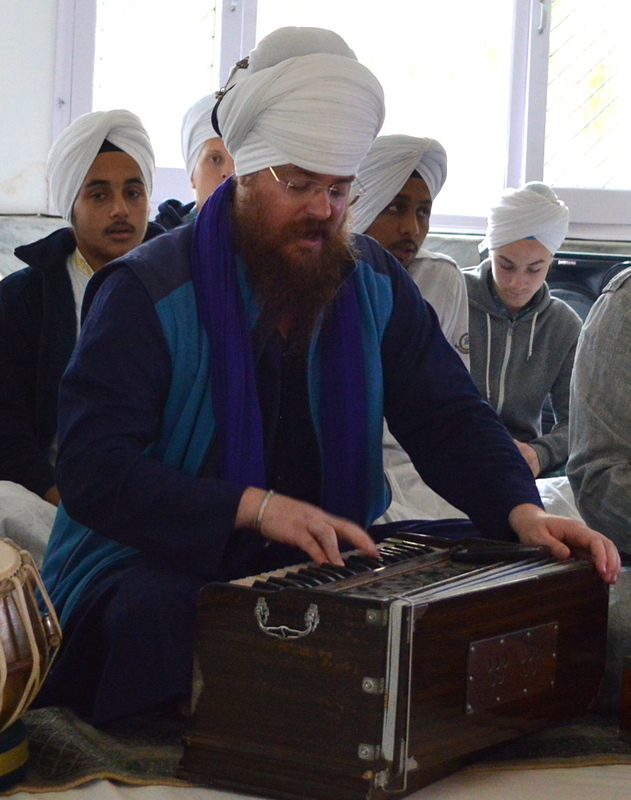 He travels constantly to India and abroad for Kirtan trips and to teach at Sikh Youth camps. 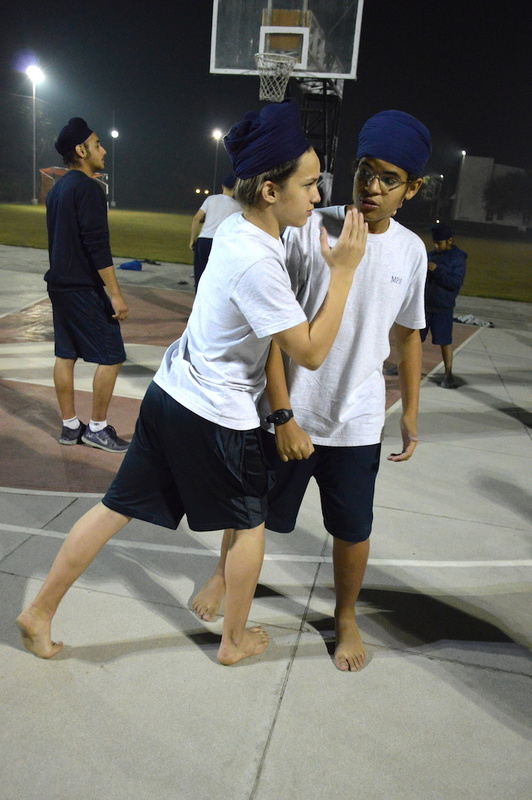 Recently he was with us at MPA again. 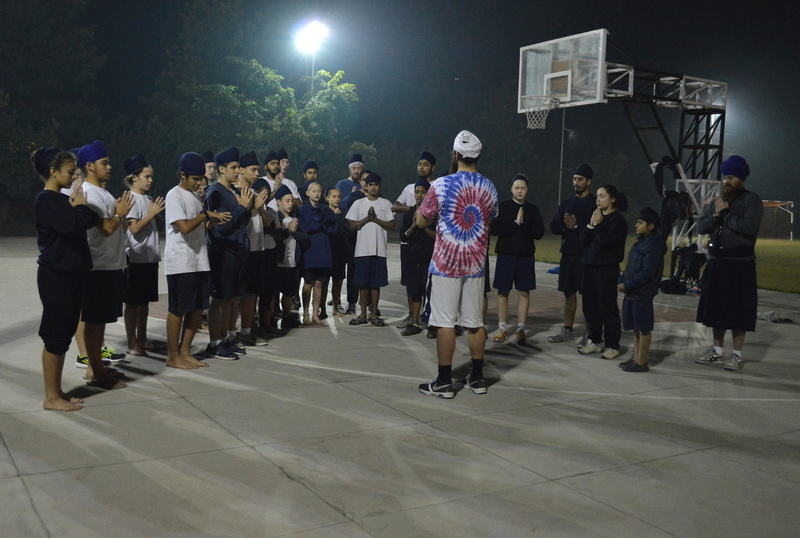 The students were really happy to take Gatka classes with him and to listen beautiful devotional music when he played kirtan at our Gurdwara along with Jugat Guru, our Principal. 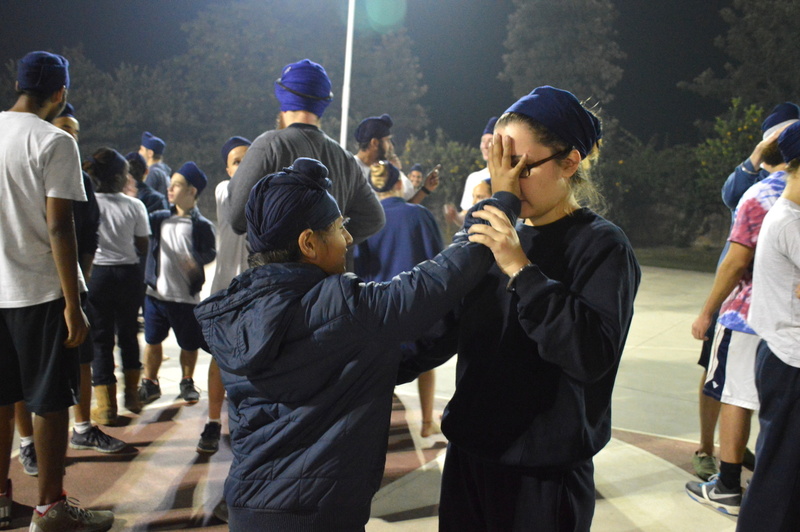 During the trip the Cherdi Kala Jatha played together often at the Golden Temple and raised the spirits of everyone on campus. 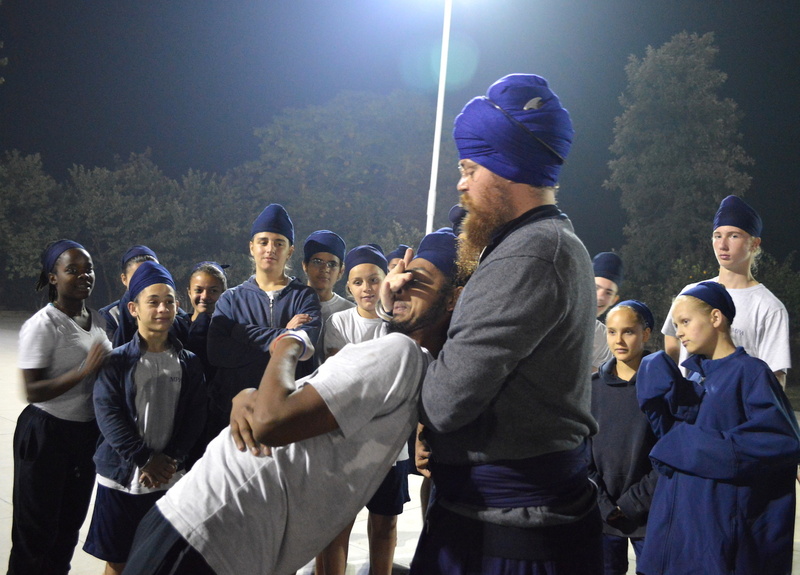 This is what he shared about Miri Piri Academy: MPA is a school for the Sangat to reach their highest potential, thoughts and emotions. 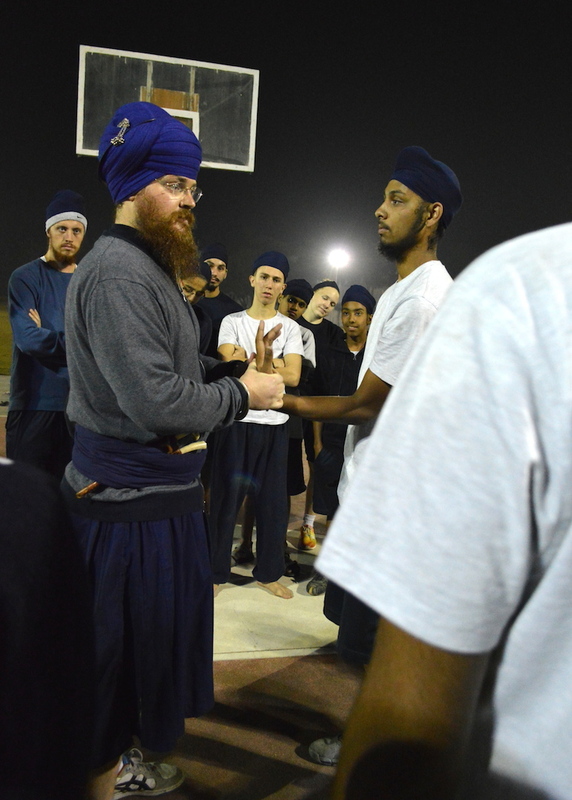 Our body not only consist of our mind, body or soul, but all of them joined together to form one being, so we have to complete all three of them. 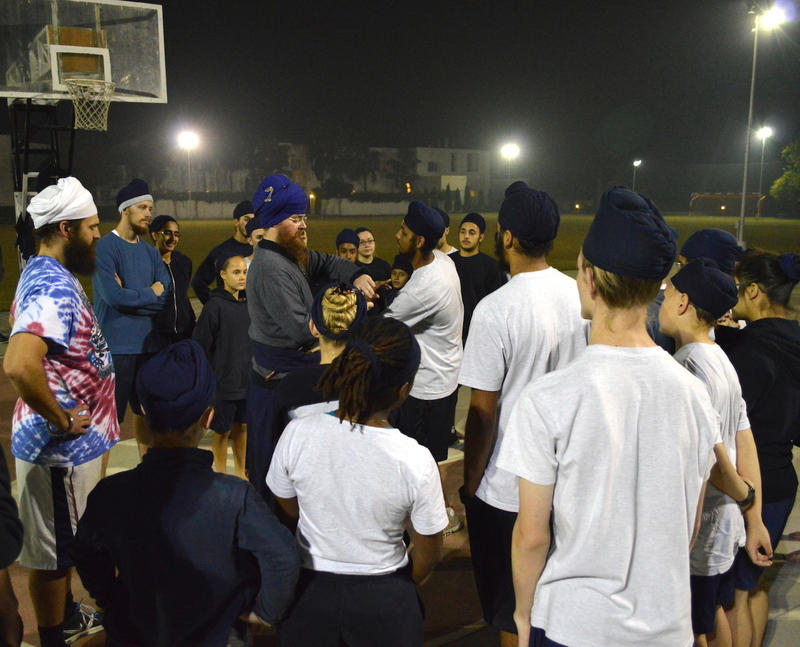 We cannot do only exercise, or simran, or jaap or seva. 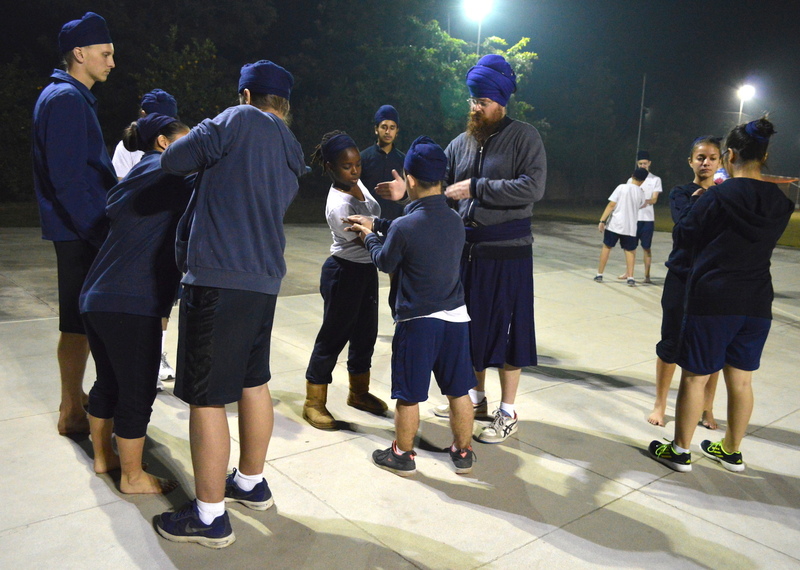 We need to do all of them together to find our way to Sikh Dharma. 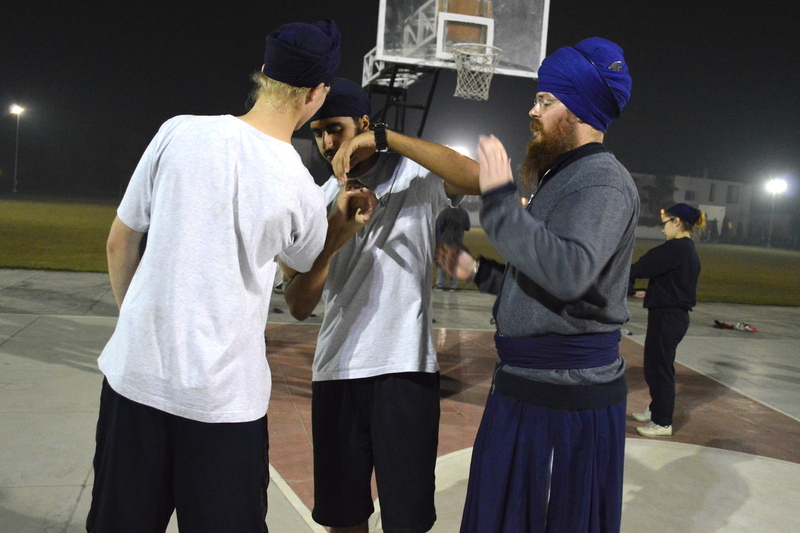 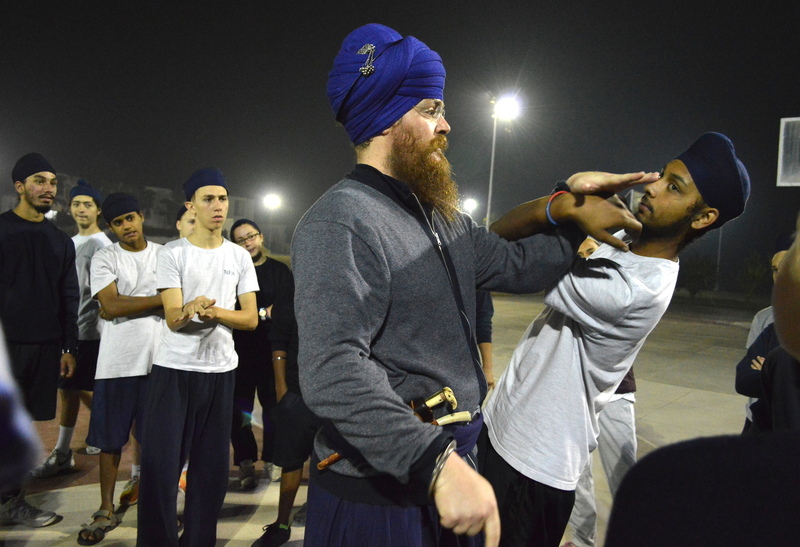 In the school the students not only learn kirtan, but also Gatka and use of weapons. 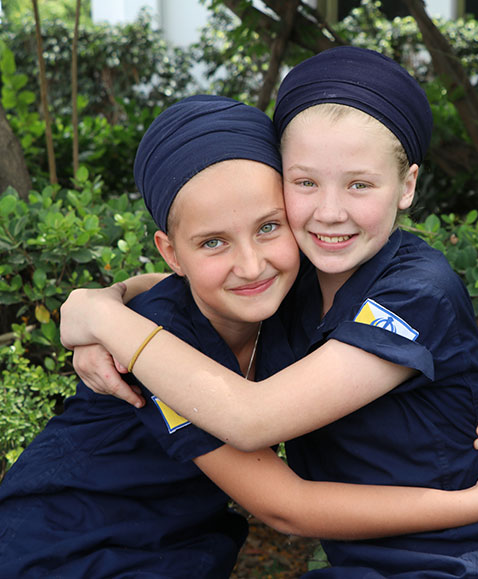 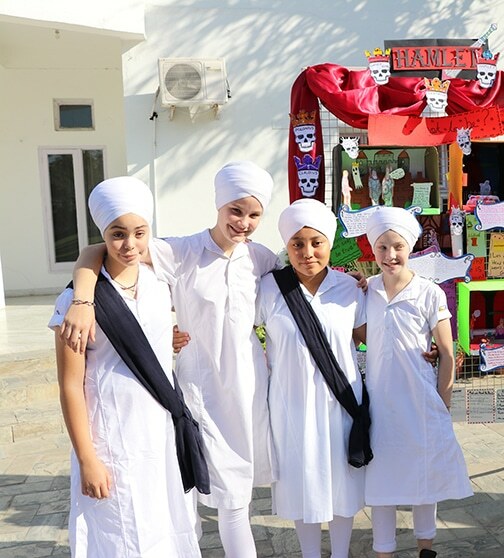 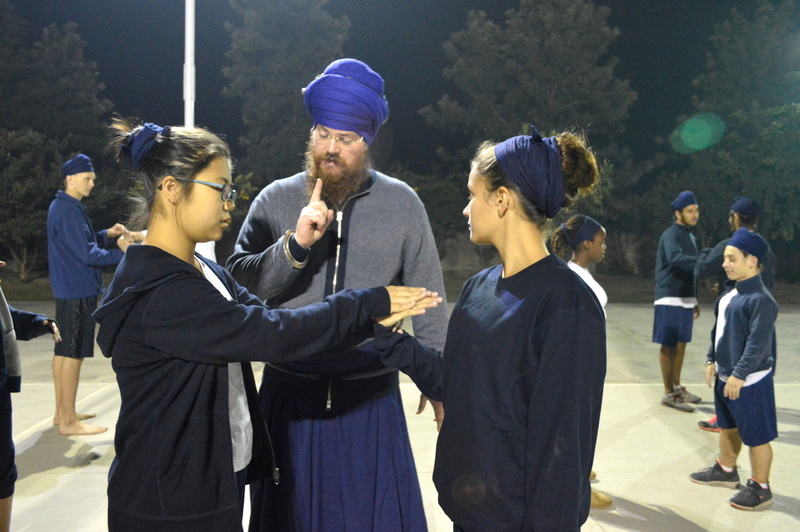 They play sports, do Seva outside of campus, learn Kundalini Yoga and do their Teacher´s Training, for which they get their international teaching certificate so they can be ready to teach and share this sacred science and technology. 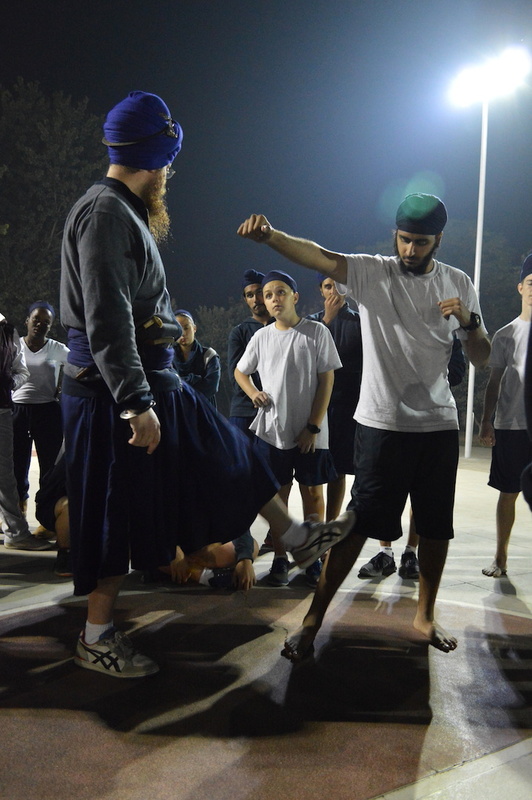 The Academy turns boys into strong men and it gives them a full experience. 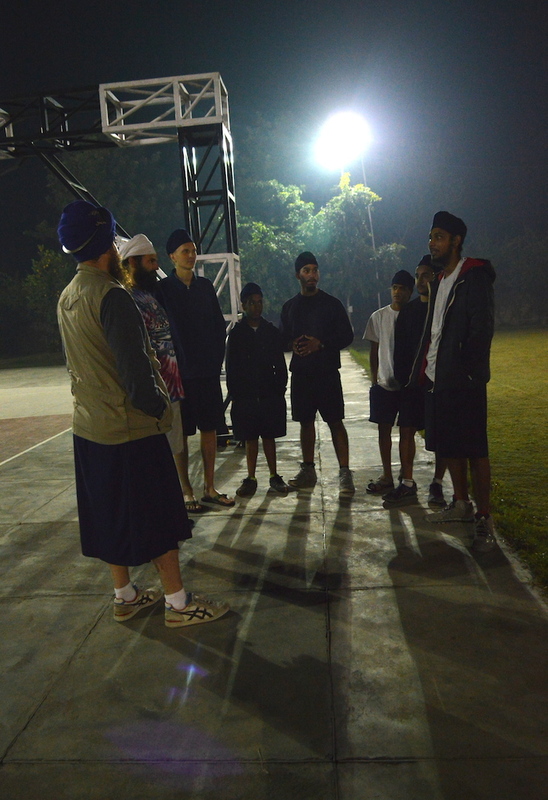 The purpose is to share the knowledge that we gained from the Siri Singh Sahib Bhai Sahib Harbhajan Khalsa Yogi Ji. 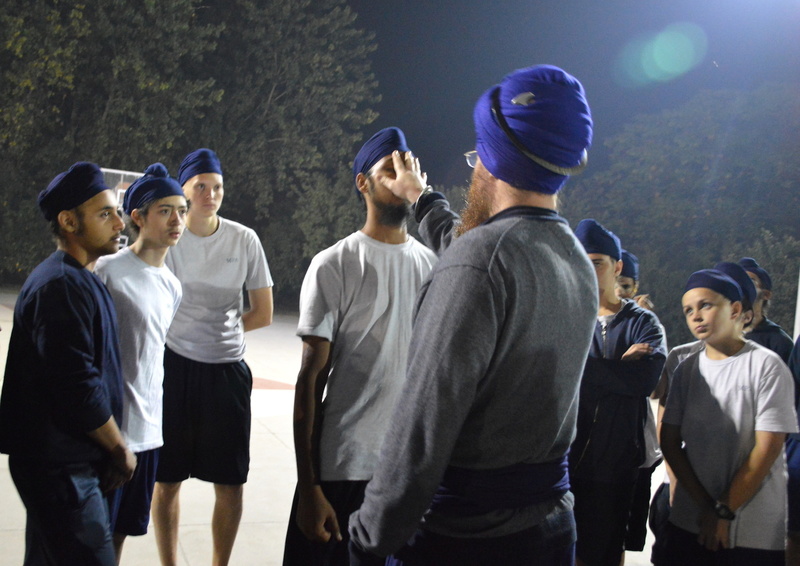 He has given us the right path to attain spirituality through this way of life. 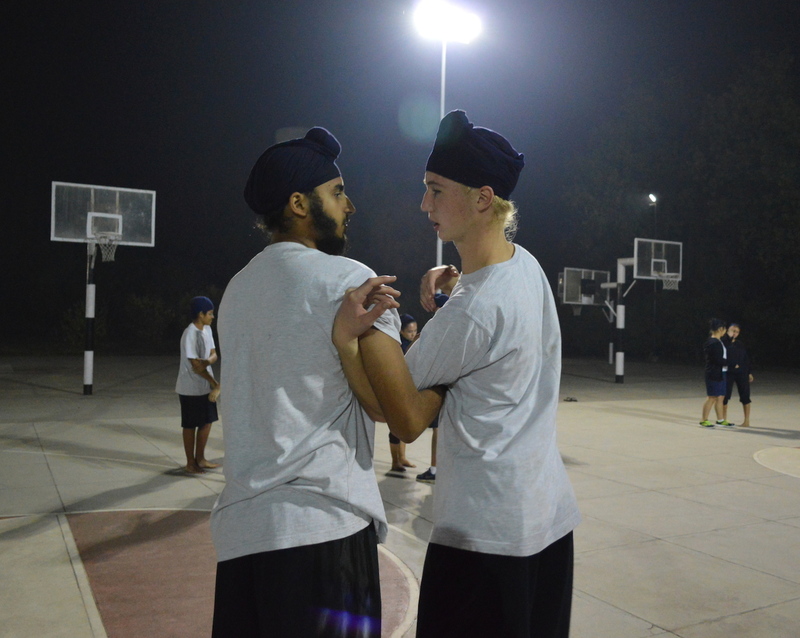 There is no better school in the world!! 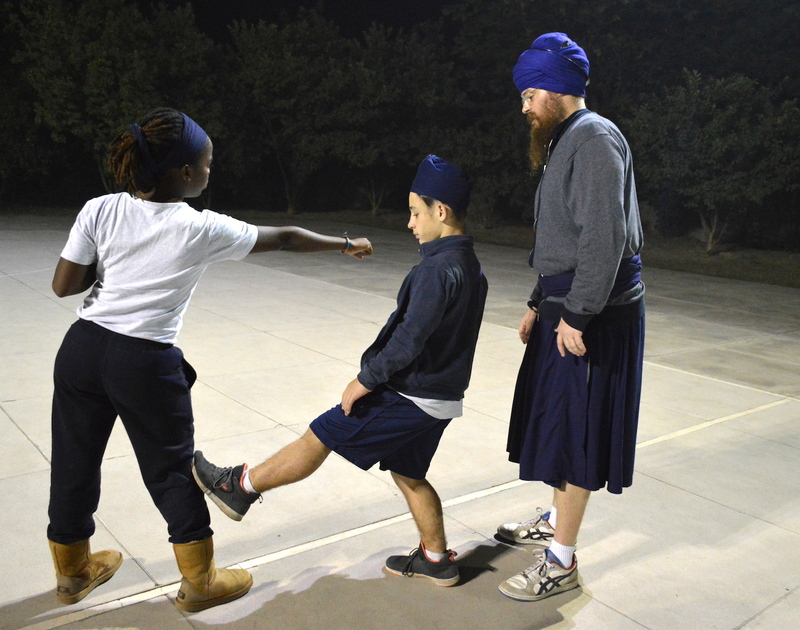 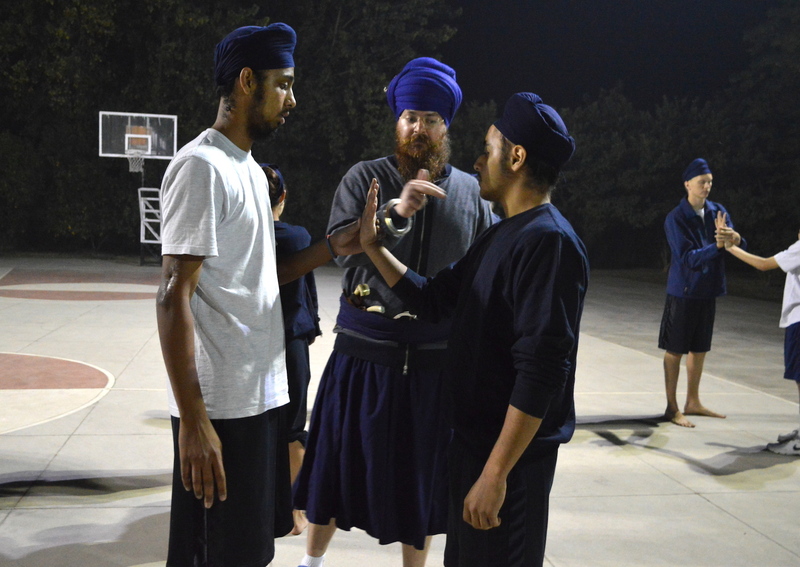 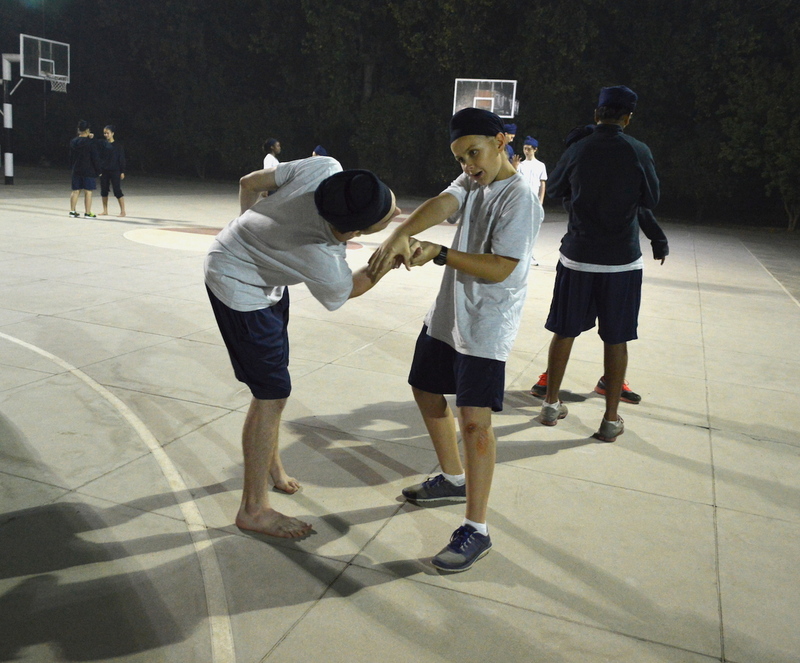 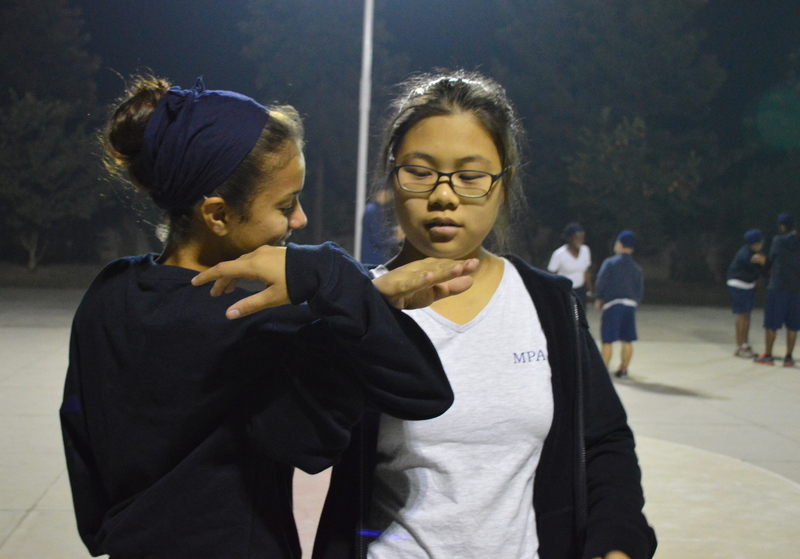 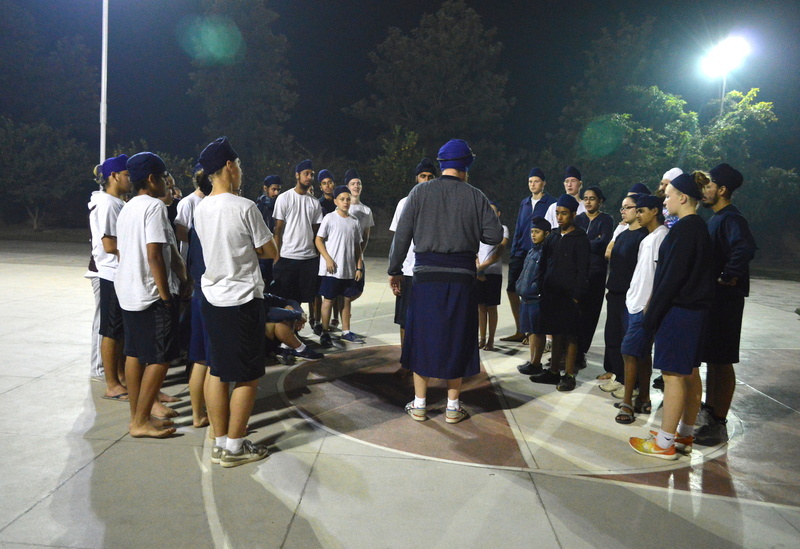 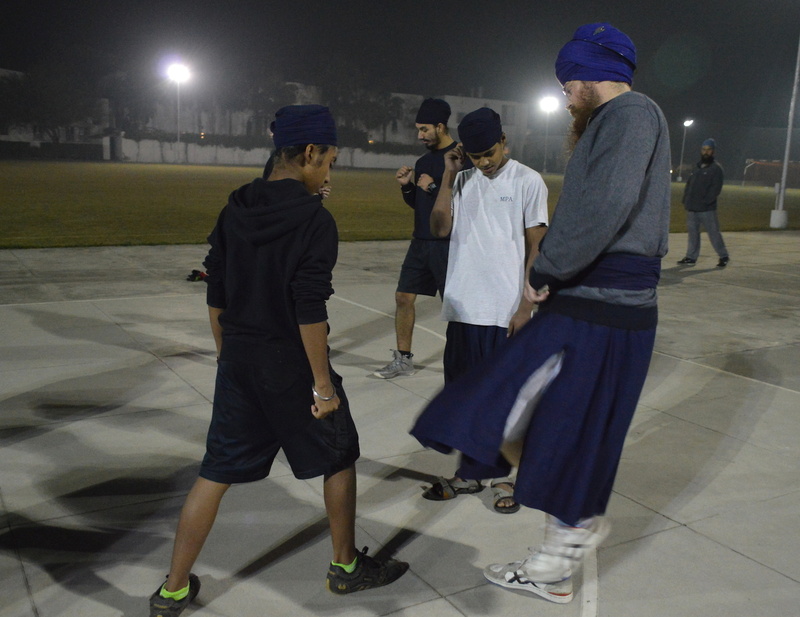 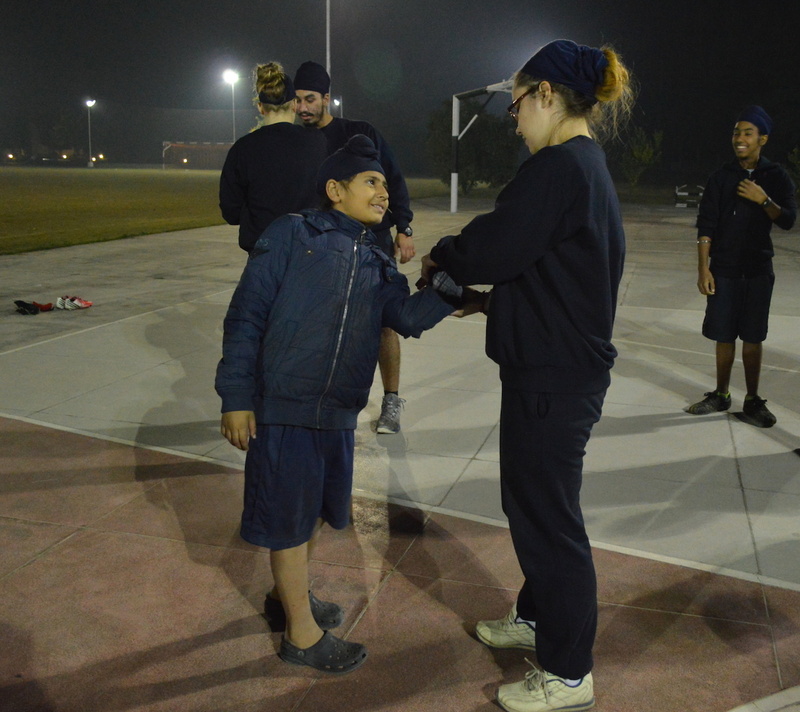 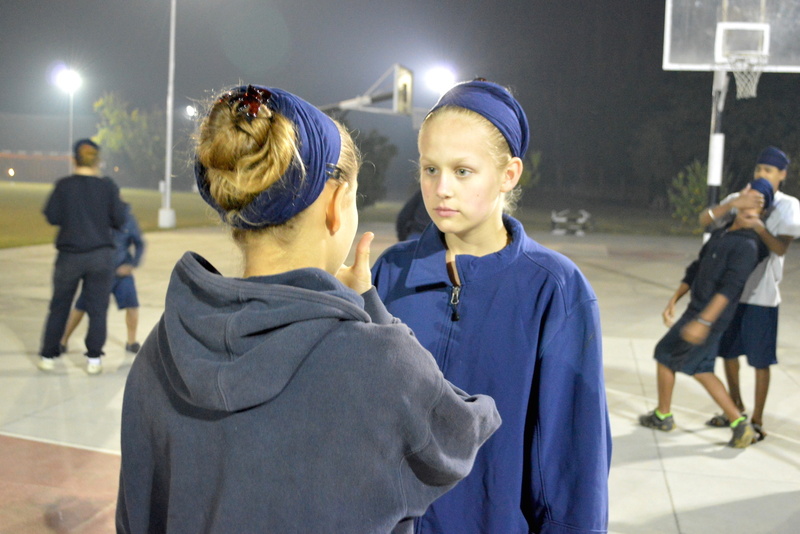 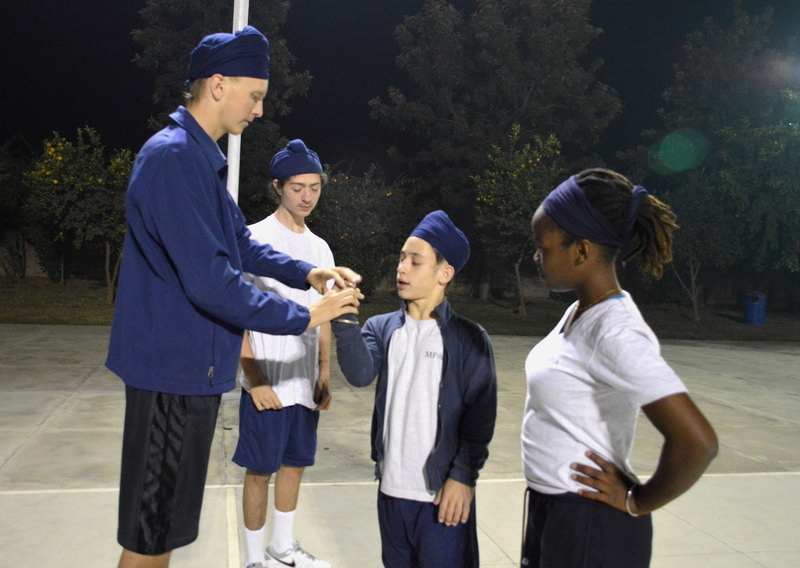 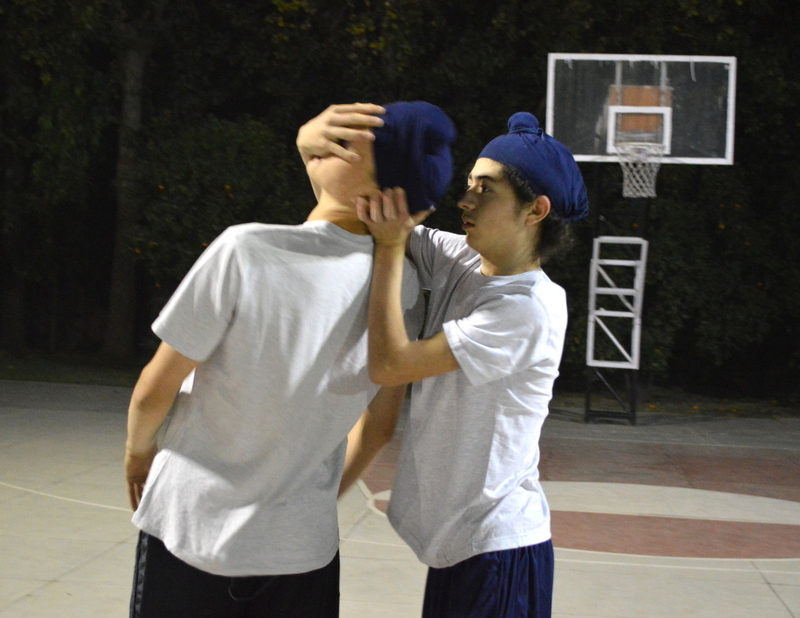 In the pictures below Sada Sat Simran taught a special gatka class focused on self-defense without the use of weapons.